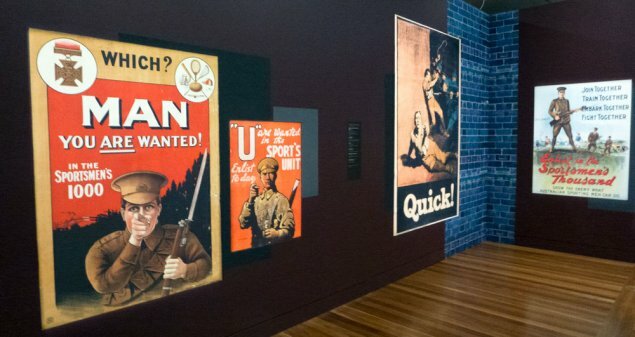 The National Portrait Gallery is currently running a special exhibition as its contribution to the Anzac centenary. 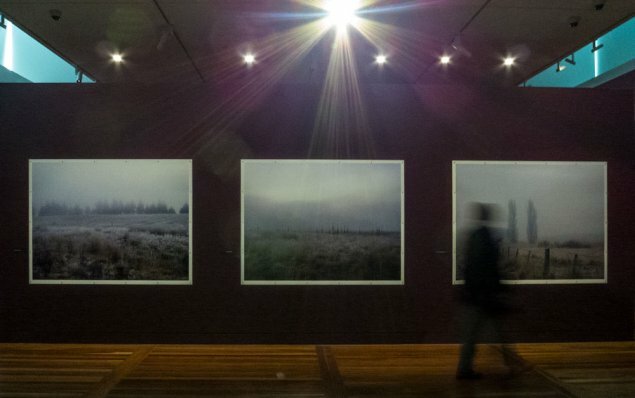 The exhibition is titled All that fall — Sacrifice, life and loss in the First World War. The first thing to report is that this exhibition isn’t about portraiture. Most of the exhibition is made up of rooms of posters. There are also a couple of video presentations and several photographs. These World War I posters are very much about propaganda that aims to ‘encourage’ people to sign up to assist the war effort. The exhibition contains enlarged posters that make for very dramatic rooms of images. There’s quite a bit of finger pointing — at you! At the end of this experience, you will surely rush home to enlist! It was also good to see the three large colour photographs by local photographer Lee Grant. Her three landscape photographs focus on the pain families endured because their loved ones remained lost to them in fields far away. Once you have taken in this exhibition, I suggest you wander around to the back gallery where the exhibition of 2015 The National Portrait Prize is being held. The exhibition is quite a mix of portrait styles and is definitely worth seeing. All that fall runs until 26 July 2015. The National Portrait Prize runs until 8 June 2015.